Run reports or update your menu from any computer with an Internet connection, effectively eliminating the need for a back-office computer. The Lighthouse puts you in total control of your business, without being tied to your business! 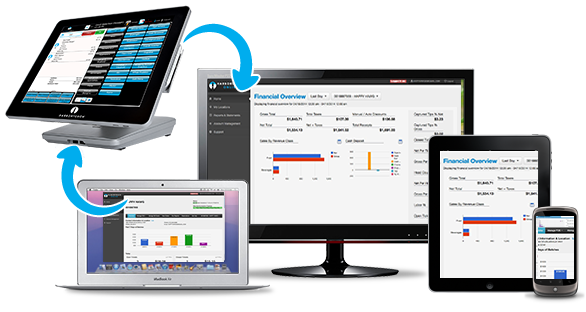 View standard POS reports, such as sales and inventory reports, directly on your Harbortouch POS system or from any computer with an Internet connection. In addition to POS reports, you will also have access to reports that pertain to your merchant account, such as statements, chargebacks and deposits. The Lighthouse gives you easy access to a top-level view of your business, no matter where you are.